How long can you hold your breath? 30 seconds? One minute? Imagine gasping for air over a lifetime. 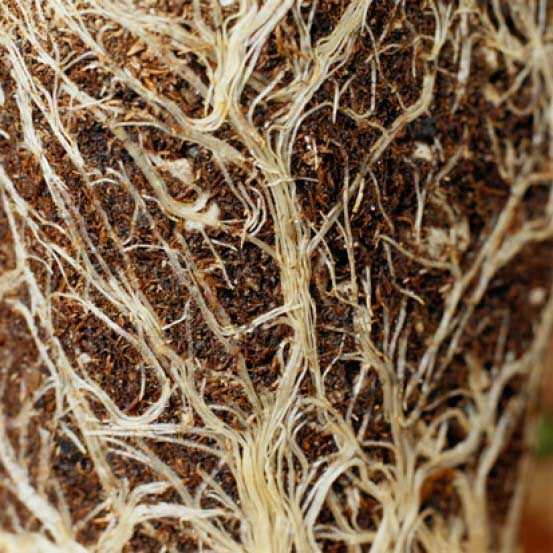 This is how soil compaction affects your plant’s roots. Without loose, healthy, nutrient-rich soil, plant roots will suffocate without oxygen and possibly drown when watered, or not receive enough water. Focusing on the health of the soil can be the key to discovering why your lawn or landscape plants may not be thriving. What else happens (or doesn’t happen) in compacted soil? When soil is compacted, beneficial organisms such as Mycorrhizal Fungi can't thrive and multiply. This beneficial fungus is an important partner in helping plants absorb water and nutrients. Water compacted soil and you’ll often experience one of two situations: Much of the water may run off into the street because the soil can’t absorb the moisture, or when it does absorb it doesn’t drain away from roots properly. Plants either don’t get enough water, or drown in too much water. Plus, water is wasted when runoff goes down the storm drain. Unhealthy, tough, compacted soil inhibits root growth, leaving plants weak and susceptible to drought, disease and pests. Core aeration of lawns and applications of liquid compost extract help immensely. If you think your soil is compacted, you can schedule a core aeration this spring. The additional of organic matter also helps. Look for our upcoming post for more tips on what you can do to alleviate compacted soil!